We spoke with Hasraf “Has” Dulull, director of the kickass sci-fi short film Project Konos which takes plase in the not-so-distant future, where interstellar space travel is possible, in the form of sending a human brain into space! Yes, you read that correctly and you’d be surprised just how plausible this docu-style film truly is. Project Kronos is Hasraf’s second short, following the popular Fubar Redux, and both films have made such a statement he is currently in development to turn both into features. We caught up with Hasraf in between his busy schedule of meeting with studio execs vying to see these features come to fruition. We chatted with this London based filmmaker about why his background in VFX (including The Dark Knight) is making him a sought after newcomer to the Hollywood directing scene. 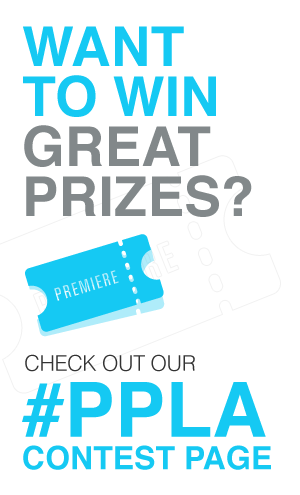 PPLA: Tell us about your love of the film industry and how you got started? HD: I have always loved films since as far back as I can remember, being a kid watching VHS movies and TV series such as V, Knight Rider, Airwolf etc. The movie which wowed me back then was Ridley Scott’s – Bladerunner. I remember watching that on my Dad’s VHS and it totally blew me away as it was new, fresh and not been done before and in my opinion way ahead of its time. It helped define science-fiction settings seen in many films today. When I was college, I was always making small little films with friends. When I went to University, there weren’t many film schools or visual effects courses, so I did a media study while still doing personal projects on the side. PPLA: You first started in video games and then visual effects before directing? Can you tell me about that transition. HD: I first worked in video games cinematic (Playstation ,1 Days) creating CGI sequences that would play before each game level and afterwards to tell the story to the player, so I was able to still use my love for cinema and filmmaking in that job. Several years later, I decided to move into feature film visual effects working on films such as The Dark Knight and Hellboy 2. I was also nominated for several awards for VFX supervision on TV shows such as History Channel’s America: the Story of U.S.
PPLA: How did you come up with the idea for Project Kronos? What made you decide to shoot the story in a documentary style? HD: I have always been obsessed with space as a kid. I remember at one point in school I wanted to be an Astronaut! (Who didn’t!) My fasination of what’s out there has been with me forever. My first short film, Fubar Redux, was an animated short film which taught me a lot about producing films in an indie way yet making them look high concept and expensive. Fubar Redux did well at festivals and continues to still get coverage. I was being asked by several studios to demonstrate that I can tell stories in a live action environment and work with actors. I still had the filmmaking bug and went straight into pre-production last year for Project Kronos when Fubar Redux wrapped. I was freelancing as a VFX Producer on several productions around Europe, which meant alot of travelling and time to do writing! It was almost instinct I guess to make my next short film about my love for space travel. I wanted it to be realistic and grounded in science fiction. It was about making the fantastical seem plausible. Having worked on several award-winning documentary shows for the likes of Discovery Channel, BBC, and History Channel, I was pretty much in tune with that format. What I wanted to do withProject Kronos was take that format and put a Hollywood sci-fi spin to it. PPLA: Is it complete fiction or are any parts of the film based on actual scientific theories or research? Have you found your docu-style has made viewers think it could be real? HD: That’s the one question I have been bombarded with ever since the film was released just over a month ago. A lot of the comments on Vimeo and other forums have sparked discussion on what would (depicted in the film) be possible in reality and what wouldn’t. It’s great that my film has caused that reaction whether it’s negative or positive. Sending a live human brain as a human conscience to travel the far reaches of space and beam back information as memories for us to experience is a fantastical idea I dreamed of while writing. But this fantastical idea is then backed or at least driven by research I have read over the years ranging from Cyrogenics to Neural Science to interstellar space travel. PPLA: Was all the NASA/space station testing and medical footage completely original filmed content or did you license any actual clips or footage? HD: All the NASA footage was sourced directly from NASA’s JPL website under the guidelines of its usage (one being you can’t show the NASA logo!) but all the NASA footage used was heavily augmented digitally to work in the film. There was alot of visual effects added into the shots and NASA logos were replaced with the fictional Space Agency logo and the CG probe etc. Other stock footage was purchased from various online vendors and again manipulated digitally with extensive visual effects. I guess that was a smart direction on my part to keep the production cost down, but it also leant itself to being more realistic and more in the documentary style. PPLA: How do you feel your experience in VFX influenced or allowed you to complete this project? HD: Well, for starters I did most of the visual effects on the film myself, so you can imagine the cost saving on the production for that alone. But also working in the visual effects industry, I met alot of like-minded visual effects artists and people who were willing to help out on the CGI side of things with me. Also having Adobe technology sponsor the film (providing the Adobe creative cloud licenses for the film exclusively) helped as they knew my work in the film VFX industry. Because I am a “hands on” type of director I am able to shoot in a VFX friendly way. For example: notice there are no Green screen shoots done on this film, because I did not want to be spending time puling keys on hair, so I used a white wall (again a cost saving tip) which bounced light the way I wanted to on the actors and then used Luminance based keying to insert things in the back. Having the hands on visual effects approach, I was able to work with the NASA footage and purchased stock footage to make them my own and combine elements from various NASA material and visual effects CGI to create epic looking shots! PPLA: Well that went way over my head, but I will concur on the epic looking shots! What similarities or differences to you find in VFX versus directing, versus writing as you also wrote this project? HD: That’s a great question. The similarities of directing and my day job as a Freelance Visual Effects Supervisor are very close.They both involve communicating ideas to a large team of people in different departments of the production. My job as a VFX supervisor means I have to figure out how to achieve visual effects driven scenes from the script to screen and then plan it out and work with the DOP, Director and other HOD’s of the production to achieve it. But most importantly, my job as a VFX Supervisor is to ensure the Visual effects is used to help tell the story and not take over.That’s exactly the same work ethic I brought into my directing style. Writing was more of a challenge for me, as being a visually driven person, I found writing a script daunting at first. But once I nailed the treatment and showed it a few professional script writer friends of mine, I started to build my confidence. On Fubar Redux, I wrote the story and a writer friend of mine wrote the screenplay. For Project Kronos, I was wrote it entirely as my first film script. I guess it was about finding the rhythm and for me that rhythm was creating compelling dialogue. The more questions the characters asked in the script, the more exciting the writing developed. There was a lot of “What if’s” thoughout the script. PPLA: What is your approach to directing actors? Particularly in this film where most of the actors are essentially performing monologues? HD: I loved working with the actors. The film was pretty much developed with the talented actors I worked with on the shoot. I wrote the script, but the script was basically a starting point to allow the actors to improvise further. The script was very technical in a nerdy sense and the actors were not as nerdy as me on the subject so I knew getting them to learn the lines would only make the dialogue sound un-natural and scripted. I wanted it to be natural and believable. The approach I took was to ask the actors what they thought about the ideas in the script, how they would feel about the events depicted in the story, and what their script lines meant to them. I let them interpret it. From there, their characters were developed and what you see in the film is actually the actors’ interpretation of the science and technical side of the script which made it so much fun on the shoot. I was able to try things out as a collaboration with the actors, and we were all excited on every take that was shot. PPLA: What are your personal feelings on other life forms and the chance of eventual human contact? HD: Well, space is huge right… so if we were the only life existing then it would be a very, very lonely place. The only thing that is stopping us from achieving interstellar space travel is the technology. We have witnessed the exponential growth in our ability to create technology faster and faster, so it’s only a matter of time before we will be embarking on space journeys far enough to other planets with alien life on them. PPLA: In expanding this project to a feature, what changes will you make. How will you expand the story line behind the docu-style of telling the story. What characters will we follow? HD: When the trailer for Project Kronos was released in February this year, I was picked up and signed for representation by Scott Glassgold at I-AM Entertainment (who also rep the films – True Skin, Rosa, Rha and other big concept short films being turned into feature films). I feel extremely fortunate to have management representation as I have found over the months working with them that they keep me on my toes to ensure my vision of the film is being structured with as much support as possible.I have had tons of meetings with studio executives since the short film was released five weeks ago and continue to have those meetings while developing the feature film version of Project Kronos. Unfortunately, I am not permitted to give out too much information about its development, but what I can say is that it’s way bigger in scale and will pick up from where it left off in the short film. It will still retain the compelling story telling style I enjoy writing and demonstrated in the short. PPLA: What other directors works do you admire? HD: James Cameron and Ridley Scott are Gods to me! But I also admire the work of directors such as Neil Blompkamp (District 9). PPLA: Any dream actors that you would cast for the feature if given any choice? Do you plan to use the cast from the short film in the feature if given the opportunity? Any other projects you are currently working on? HD: On top of developing the feature film version of Project Kronos, I am also developing the feature film version of Fubar Redux as a fresh hyper-kinetic action animated film. I am working with the executive producers of the short (and good friends) from The Design Studio for Film who are based in LA.